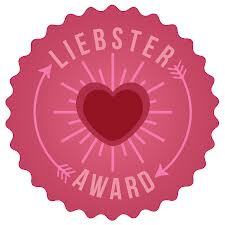 An amazing up & coming blogger- Kali over at Kali Now Living tagged me in her Liebster award! You don't know how much this means to me Kali, thank you so much! This is a great way to find new, up-and-coming blogs from so many different women! I started my own freelance photography business at the age of 16! I work in clothing retail! So I get a lot of fashion ideas through that! I have a streak of gray hair that is actually a birth mark! ~Bonus: My cats name is Chewbacca/Chewy. But she is white with ice blue eyes! 1. What’s the story behind your blog’s name? My blog used to be named simply complex. Because it describes me perfectly. I switched to 'Sincerly Aishah' 6+ months ago because I wanted a blog name that I could keep as I grow older. I like the simplicity of it. I hope to gain blog friends, and get my blog out there. One of those blogs that some people read daily. I hope to gain insight about myself too. I have already learned so much about myself through blogging. 3. What place in this world do you want to visit the most? There are actually so many! But I would probably have to say- Mecca. 4. If you could go back in time, which era/decade would you go back to? 5. What is your favorite movie and why? I do not have a favorite movie. 6. Do you leave comments on blogs or are you a silent reader? 7. Is your significant other involved with your blog? 8. Who, from the present or past, has influenced your personal style? No one in particular actually. Because I work in the fashion retail, I am always up to date as to what is 'in' and what isn't. As far as prints, colors, styles, etc. I personally try my best to go out of comfort zone and buy things that are 'in' that I normally wouldn't wear. Such as white pants, and colored pants! 9. What do you look for in a blog (as in following a blog)? I look for blogs that I can in some way relate to and/or a blog that really grasps my attention and well as interests. 10. What is your ultimate dream? My dream is to graduate with a degree in Business..possibly Fashion Management, have a bigger photography business, and be a successful blogger! 1. For how long have you been blogging? 3. Do you have a job outside of blogging? 4. What's one thing you cannot live without? 6. Where do you usually shop? 7. Are you on Instagram? If so, do you follow bloggers? 8. What one thing do you think every woman should have in her closet? 9. What kind of make up do you like to try different brands of? 11. What's a typical day like for you? 5. Create 11 questions for those bloggers to answer. Once again, thank you Kali!! Hi Aishah, thanks so much for nominating me. I've actaully received this award within that last few months, so I'll direct you to that post HERE. 3. Yes, I own an insurance agency. 6. I guess that depends on what we're shopping for. You are very, very welcome Aishah. It was fun to read your responses :) I hope to stay in touch. How fun you started a photography business at 16 That's awesome! We share the same birth month too. Thanks for thinking of me for the award.